GMA and GEM nominated producer Errol Mundle is set to release his brand new album 'No Greater Love' on innovative Gospel label Elm Tree Records'. The album, featuring vocals from some of the best talent the UK has to offer, is slated for a worldwide digital release 25th June 2018 2018. Read More GMA and GEM nominated producer Errol Mundle is set to release his brand new album 'No Greater Love' on innovative Gospel label Elm Tree Records'. The album, featuring vocals from some of the best talent the UK has to offer, is slated for a worldwide digital release 25th June 2018 2018. 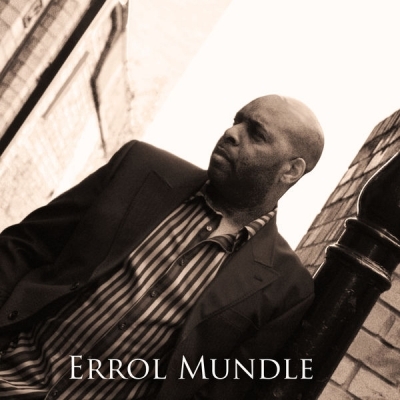 The new project from ELM productions differs considerably from the albums that Errol Mundle has released before. A former mainstay of the gospel reggae scene, Errol has returned with an album of 'Pure' gospel, with R&B and soul grooves that are reminiscent of Kirk Franklin at his best. The new album and new direction developed amid personal tragedy for Errol, which caused the project to be on hold for over two years. This debilitating period of time caused him to take stock of his life and reaffirm his faith and passion in God. The result of this painful period is a powerhouse of an album, which brings together many artists of the highest calibre, such as Ann Campbell, Nicole Farmer Simon Blackwood and all the musicians hail from Nottingham along side up and coming producer Ainsley Johns Paul Williams Johnathan Scott and Simeon Palmer all of whom embraced the artistic direction and drive behind the project. After the dust settled there will be a launch concert in front of a capacity crowd in Nottingham, it is clear that this album is considered to be something special. The album has been making waves in the industry over the past year, Errol Mundle's 'No Greater Love' is set to delight and astound the Gospel music community.